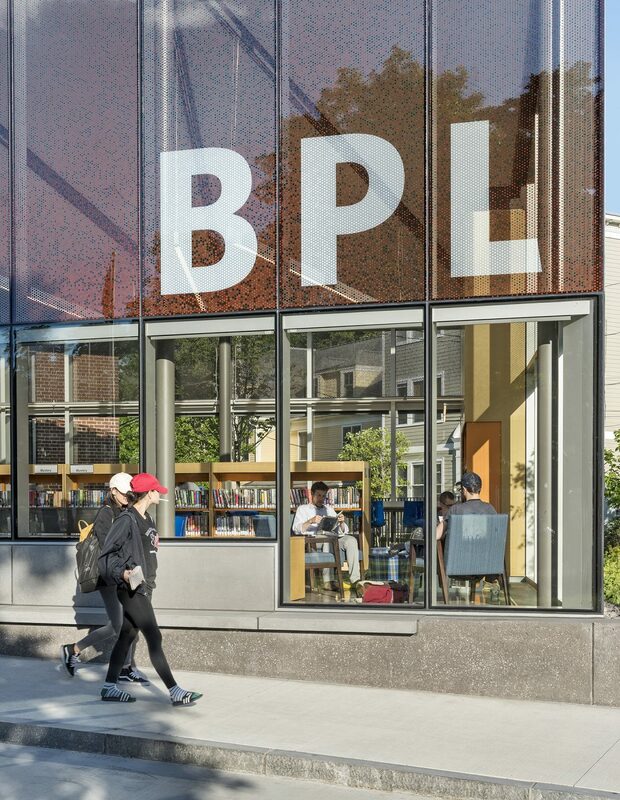 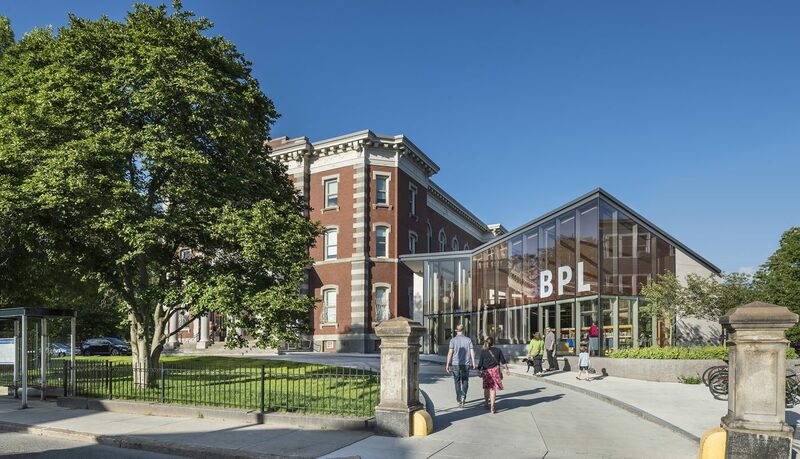 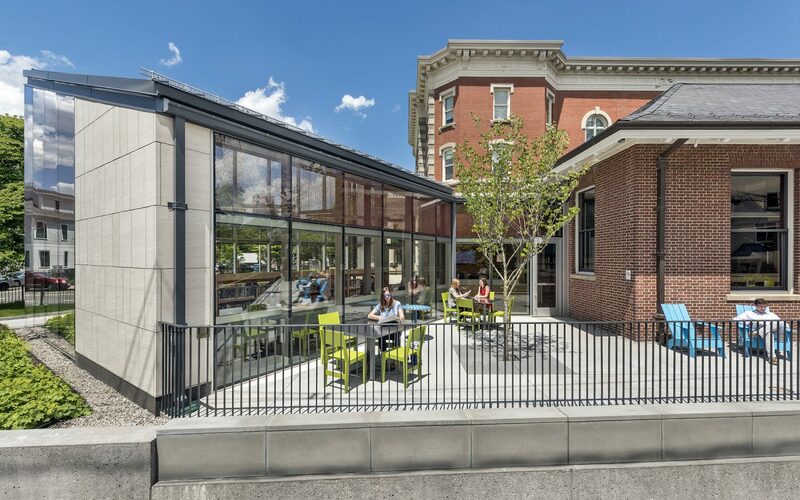 Utile worked with the Boston Public Facilities Department and the Boston Public Library on the renovation and new addition of the Jamaica Plain Branch of the Boston Public Library. 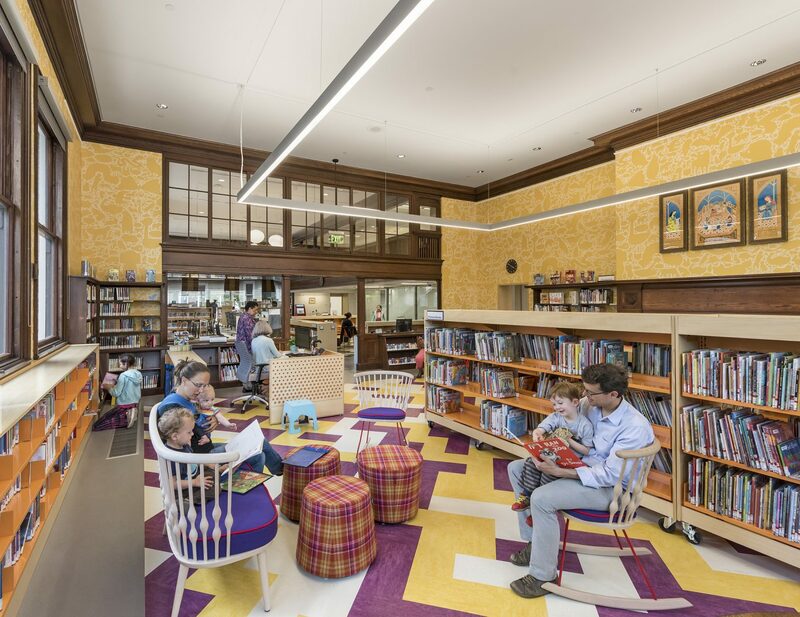 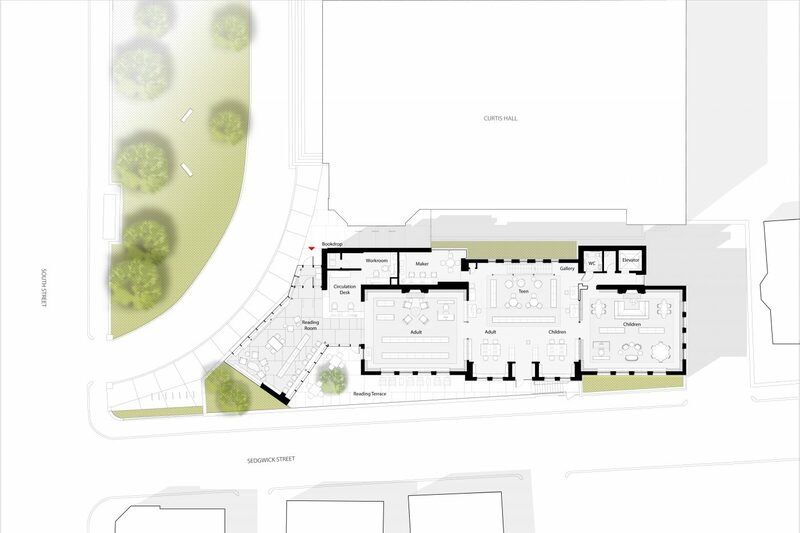 A gut renovation of the 8,000 square foot, 1909 historic building updated multiple meeting areas, created additional flexible space for children and teens, and improved accessibility. 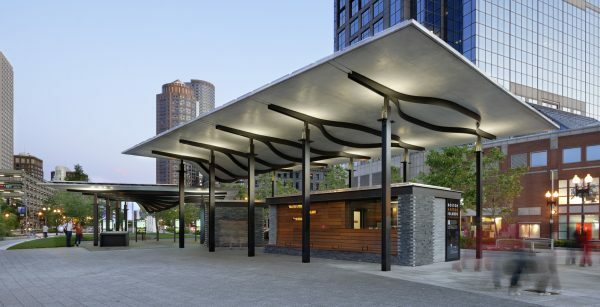 Upgrades to mechanical systems increase energy efficiency. 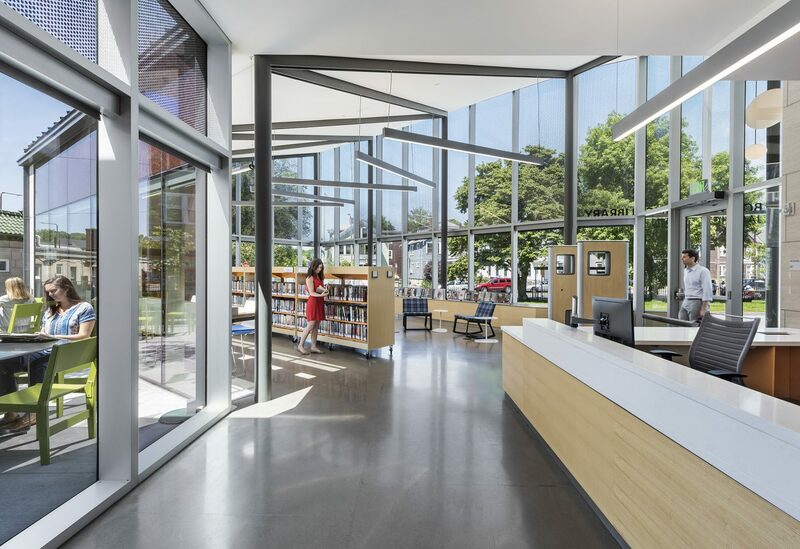 Instead of replicating the historic style of the existing structure, Utile designed the 2,500 square foot addition as a modern complement, with a striking, angular glass entryway and bold signage. 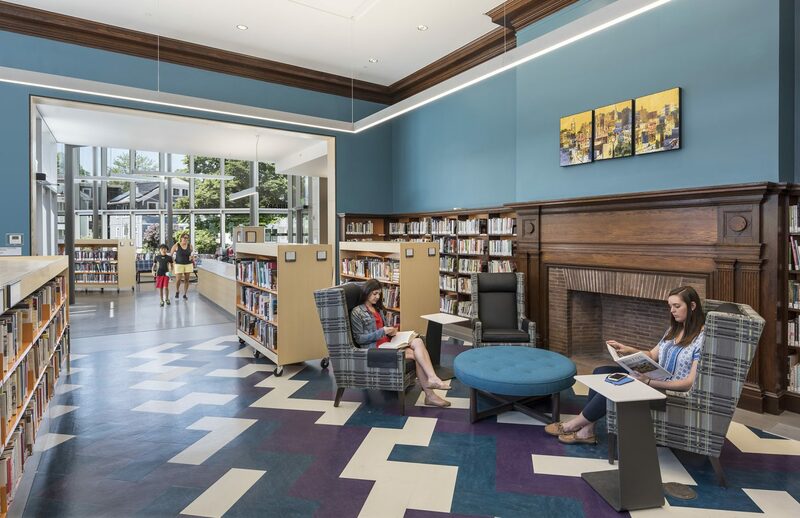 The new addition houses a community event space, smaller meeting areas, updated resources, and new technology. 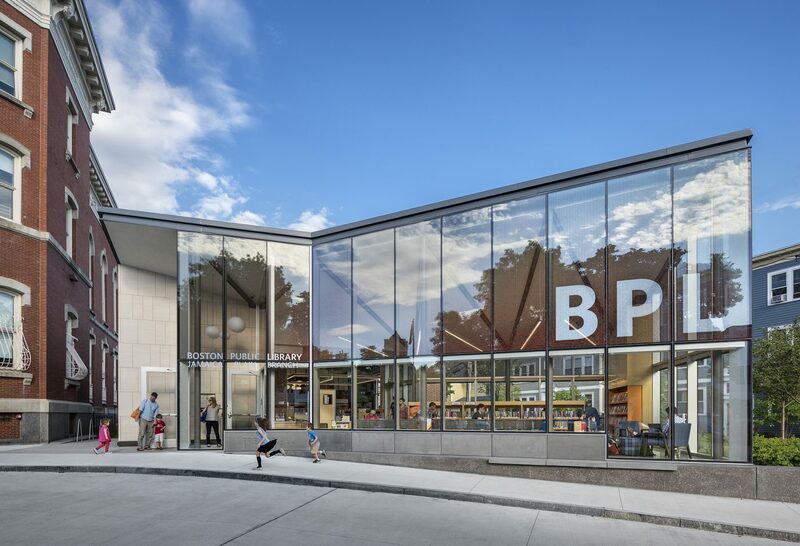 The energetic design creates a more visible, active public face on South Street, and positions the library as a hub of the community. 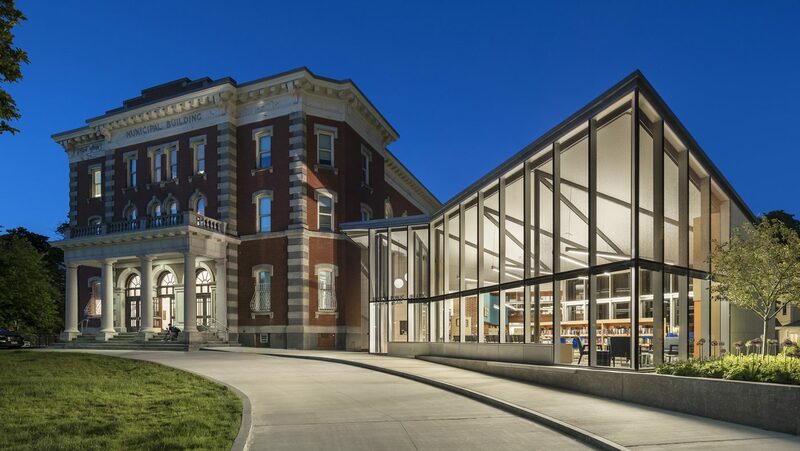 The library reopened to the public in May 2017, after closing in the fall of 2015 to start construction.